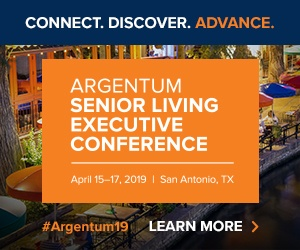 A not-for-profit senior living provider is moving forward with a plan to open dozens of new town home-style independent living residences, each equipped with technological and design features meant to help older adults live in the setting longer. Elizabethtown, Pennsylvania-based Masonic Villages is moving forward with a plan to build 58 new “IQ Home” dwellings at its communities in Sewickley and Elizabethtown, Pennsylvania. The nonprofit has five continuing care retirement communities (CCRCs) in the state, each offering a range of senior housing and care services. Its 2017, its operating revenue was $139.3 million, according to its latest financial statement. The first “IQ Home” prototype — a collaboration between design firm RLPS and Masonic Villages — opened to residents at Elizabethtown earlier this year. The idea behind the project was that seniors need a full range of solutions, not just one or two flashy features, in order to better age in place. To that end, the homes are designed to extend independence, and come with integrated communications technology from K4Connect, and aging-friendly adjustable access to things like countertops, cooking surfaces and bathroom appliances. The dwellings are also equipped with innovative design features like tankless water heaters, air filtration systems, motion sensors and even refrigerators that track whether they’ve been used recently — a potential indicator for if a resident needs help. A prototype version of the home worked so well that Masonic Villages made the IQ Home design template its standard for new units moving forward. As planned, there won’t be an additional cost for residents who move into new smart home dwellings. The provider is also continuing to compile costs on upgrading its existing units into smart-home versions — those costs can vary widely, but the smart home technology is not limited to standalone town homes and could be integrated into apartments within multi-unit buildings, Sampsell said. Of course, Masonic Villages is just one senior living provider looking to use technology and design to help its residents stay in their care settings for longer periods of time. In particular, Amazon’s Echo device and its Alexa functionality seem to have gained favor with large providers such as Ascension Living and Front Porch. In fact, smart home technology is becoming a “must have” in senior living, according to panelists who spoke at a recent Senior Housing News event in Los Angeles. And, if current trends are any indication, more providers will move in this direction in the future, likely because they’ll be more successful in the end, Sampsell said.